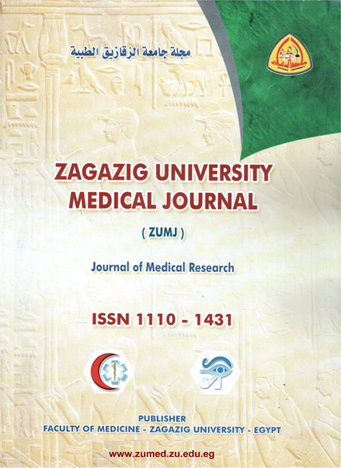 1Internal Medicine Department, Faculty of Medicine, Mansoura University. 4Rheumatology Department, Faculty of Medicine, Benha University. Background: Bone is a vital, dynamic connective tissue that throughout life is continuously remodeled by balanced bone formation and resorption. It has been reported that diabetes and its metabolic disturbances and medications lead to important alterations in bone metabolism. The objective of this study is to determine the effect of metformin on markers of bone metabolism [N-terminal cross-linked telopeptide of type-1 collagen (NTx) and osteocalcin] in male patients with type 2 diabetes mellitus. Methods: a case-controlled study was conducted on 100 male type 2 diabetic patients. Their ages ranged from (35–50years) living in Saudi Arabia at Al-Madinah Al- Monawara Province. They were on oral antidiabetic drugs, divided into two groups according to treatment with metformin. Routine laboratory measurements included serum levels of fasting glucose, HbA1c, total calcium, inorganic phosphorus, total alkaline phosphatase and intact parathyroid hormone, osteocalcin was measured as a bone formation marker. Second-morning void urine was collected from patients to measure urinary NTx as a resorptive marker. Results: there was no significant difference between the two groups as regard the clinical, biochemical and diabetic control parameters(age, BMI, duration of diabetes, FBS, HbA1c, calcium, Phosphorus, total alkaline phosphatase, and iPTH). No statistical differences in osteocalcin (ng/ml) between the two groups (13.3±1.43 vs 13.0±1.4, P-value =0.348). The mean of NTx (nM BCE/mM creatinine) of metformin group 1 was (29.6±7.8) lower than that of non-metformin group 2 (44.6±6.1) with highly significant differences between the two groups (P=0.000).Conclusion: metformin may have a favorable effect on bone metabolism in type 2 diabetic males through a decrease of bone resorption marker, but more researches are required to know the overall impact of this medication on bone health on the long term.